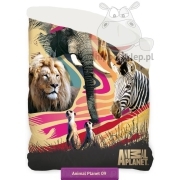 Animal Planet – bedding from young collection with duvet cover size 140x200 cm and 160x200 cm with fantastic photo of wild animals transferred to textiles for children and young. Bedding set Animal Planet with images of wild animals: elephant, giraffe, tiger, lion, dinosaurs and other. 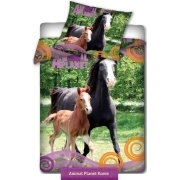 Kids towel beach and bath with animals, blankets and accessories all branded Animal Planet logo. Bedlinen Animal Planet is an interesting iea dfor a practical gift for any teenager.